Why isformulation of so important?? Broad full spectrum curcumin extract provides therapeutic benefits beyond any regular extract of curcumin. Our proprietary complex has turmeric rhizomes because it's extracted with supercritical Co2. To get technical on you for a minute the rhizome of turmeric (cucuma longa L.) is an important source of of the yellow natural pigment. 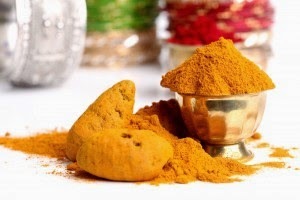 The compounds responsible for the pigment yellow color are the curcumin [1.7-bis(4-hydroxy-3-methoxyfenil)-1.6-heptadiene-3.5-dione] and two curcuminoids [demethoxy-curcumin and bis(demethoxy)curcumin. These pigments have been show to act as a bactericide and anti-inflammatory agent. You actually get 30 compounds in the supercritical extract with the Co2 process that our company uses. Extraction yields are affected by temperature, and many companies just don't get this. Supplements containing turmeric and its key compound, curcumin, may be helpful in treating inflammatory diseases and other conditions such as diabetes. However, recent tests by ConsumerLab.com found significant problems when they were doing their testing on curcumin and turmeric products. Two supplements contained only 33.1% and 52.9% of their expected curcumin compounds (known as curcuminoids). In fact, one contained less than 10 mg of these compounds, while the typical dosage shown to work in studies is hundreds of milligrams! The other product was found to be contaminated with small amounts of the toxic heavy metals lead and cadmium. A third product failed to provide label information required by the FDA. There was one company that had 1/2 the amount of another even though they both said the same amount per serving. And if you get looking at the additional ingredients in these products it's really hard to believe that you aren't hurting yourself with negative ingredients instead of healing yourself. I like a product with no additional ingredients soup. Five popular, ground turmeric spice products were also tested. Several contained large numbers of insect parts, which suggests insanitary storage, and one "organic" product contained a whole insect larva! found one spice, however, was clean and not contaminated with Salmonella, lead ,or cadmium. I recommend the Organic Curcumin product because it's all very easy to figure out as far as ingredients, and it says exactly what is in there. Just over $30 is an amazing deal that you just can't pass up. And I love that the company has had it all third party tested for purity (five times the potency) and to make sure their are no toxins. I drink it every day for my sticky blood support and so it means a lot to me. The key feature here is that it has a strong creatine matrix that can make more blood flow gwi ingredients into your muscle, which means you can get results you want from your workouts.